FOLLOW THE HEART Cover Reveal Scavenger Hunt!!! 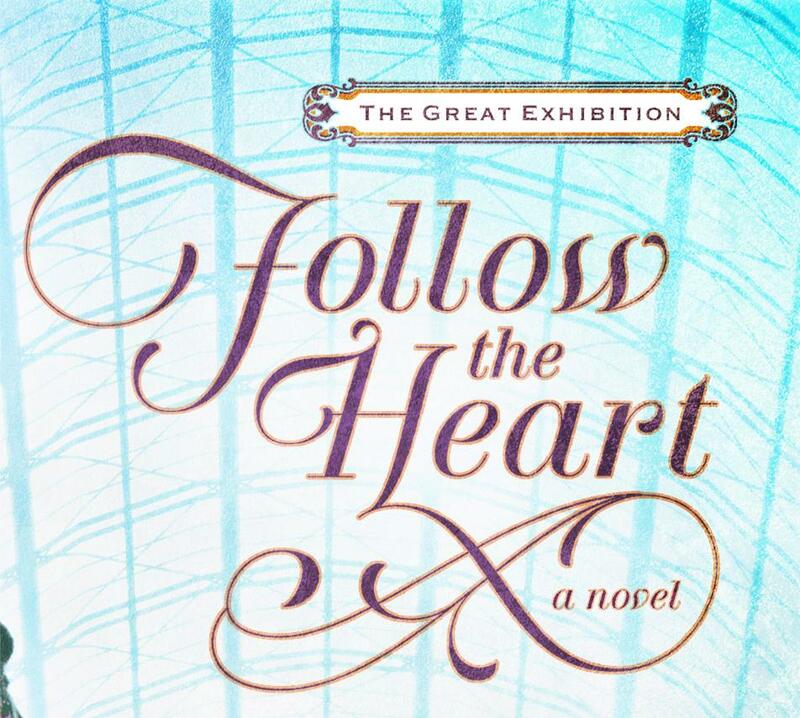 I can’t believe it’s finally here—the day to reveal the cover of Follow the Heart, Book 1 of the Great Exhibition series. It’s still eight months until the book comes out (May 2013), but it’s never too early to get excited over a book release. And part of that excitement comes from getting a fabulous cover. I’ve got ten bloggers who have agreed to let me borrow their sites for a virtual scavenger hunt this weekend. Each of these sites has a trivia question and an answer—but the questions and answers don’t match! Your job is to go to each site and “collect” the questions and answers, then put the correct answers with the questions and e-mail them to me. Five entrants will win a signed copy of Follow the Heart when it releases next year! Visit each website and collect the questions and answers on it. Be sure to copy the link of the post to show where each question and each answer came from. Leave a comment on each of the ten blogs according to the blogger’s instructions. Send me an e-mail with the questions/answers/links. DO NOT POST YOUR ANSWERS HERE! The deadline to get your e-mail with all ten questions and answers (with the correct answers matched up to the questions) to me is 11:59 p.m. Central, Sunday September 9. So you only have three days to do this! Leave me a comment here to let me know what you think of the cover or with any questions you have about the book/series. I may not answer them now (after all, I have to have something to blog about the month before the book releases! ), but it’ll be fun to chat about this book a little bit! Thank you for allowing your readers to win a few signed copies. I look forward to reading this book and the series. I’m so excited for this book! It looks so good! My question is: Will this be another 3 book series? Kaye, I’m thrilled for you! The cover (I saw on the blogs) is stunning and it has men on it, too! Rare! You worked so hard on this book and I’m so very proud of you! Love the cover. Purple is my fav color, so her dress is perfect. I love that the glass and steel greenhouse designed building where the fair was hosted is visible in the back ground. I’d love to have been there in person. Cover looks great! The colors are very vivid and lovely. My question about the book is: how prominent is the “love triangle” angle? Love triangles in romance novels tend to frustrate me because the final couple is a foregone conclusion. To me, the cover has a watercolor feel and I like the aspect of the two suitors on the cover, though I’m personally all about the dress! Whew! That was a lot of work! But it was a lot of fun too, and I must say, it really was a great way to spark some interest, because now I will be waiting eagerly for this book to come out! The cover is stunning. I am in love with the dress on the cover. I love the rich purple! How did you come to choose this era to set your series in? Was it specifically so you could include The Great Exhibition? Thanks for setting up such a fun way to learn about your newest release! I am eagerly waiting for it now! Hopefully, I followed all the rules and I will eligible! God bless!